Goal Girls at last year’s graduation. Goal program promotes leadership development and protection from violence. NOWSPAR is pleased to present the 2nd Integrity of Sport Conference to be held in partnership with the National Sports Council of Zambia on Friday 30th May 2014 at Cresta Golfview Hotel in Lusaka. This is the second in a series, the first of which was held last year and key recommendations adopted by the sports community towards development of policies, structures and programs to promote safeguarding and protection. This meeting, we will bring together key stakeholders in the development and governance of sport in Zambia to look at efforts to promote safeguarding and protection within sport. Key speakers include the Permanent Secretary of the Ministry of Sport, the Chairman of the National Sports Council. The Conference will include presentations from National Sport Associations and Sport for Development Organisation, coaches and athletes’ panel as well as deliberations on some of the key lessons to be presented by NOWSPAR from its work and strategising on steps forward. See program here. This program is generously supported by the Norwegian Olympic Committee, The Zambia Governance Foundation, Women Win and the Government of Zambia Ministry of Sport and Ministry of Education. 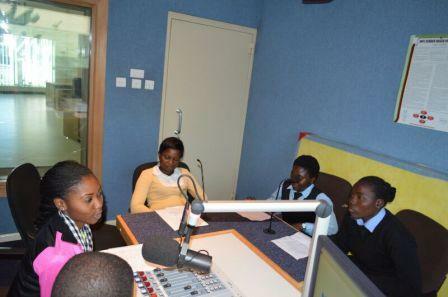 The two Goal girls were speaking during a radio discussion aired on Radio Christian Voice on Sunday 18th May 2014. 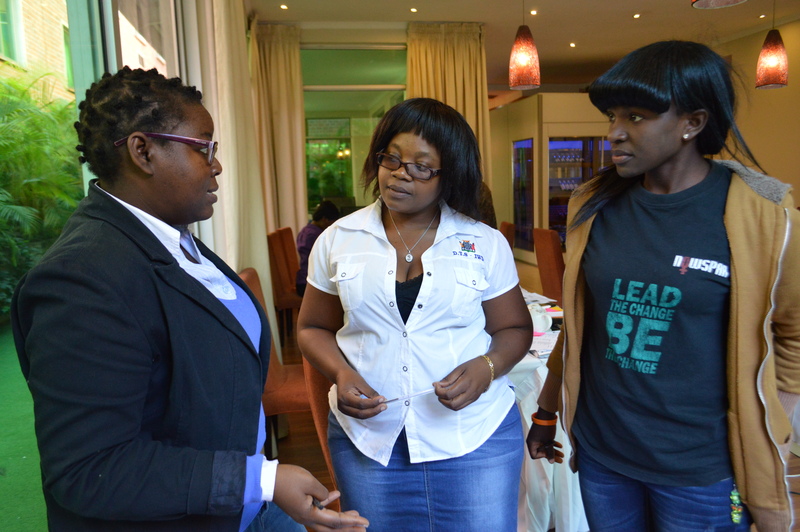 The panel was comprised of Goal participants Elizabeth and Monica, Coordinator of Girl Power Club at Lusaka West School Ms. Kawama and NOWSPAR Staff Ms. Mofu Kandondo who coordinates the Goal Program. NOWSPAR Goal Coordinator Mofu Kandondo speaking about the Goal program. NOWSPAR Goal Coordinator Mofu Kandondo talked about the right to sport for girls and how the Goal program provides an opportunity to be physically active and to develop leadership skills. Lusaka West School Physical Education Teacher and Girl Power Club Coordinator discussed some of the challenges that girls face in playing sport are beliefs that sport causes infertility and loss of virginity. Lusaka West School this year started a Girl Power Club with NOWSPAR support and has 100 girls in grades 8, 10 and 11 participating in sport and life skills sessions based on the Goal curriculum. 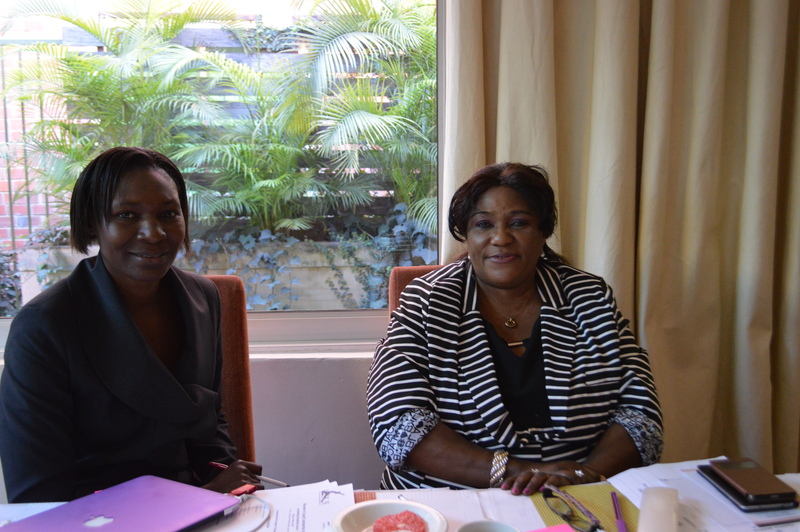 The International Working Group on Women and Sport (IWG) a global high level body that advocates for women’s rights to sport yesterday announced the regional representatives for its Steering Committee for 2015 – 2018 and Zambia’s Matilda Mwaba has been selected as Africa Representative. NOWSPAR Executive Director Matilda Mwaba at the Victoria Falls in Livingstone, Zambia. NOWSPAR is honoured that our Executive Director will serve Africa at the IWG steering Committee which is comprised of representatives from all regions of the world drawn from government, civil society and academic bodies. Established in 1994, the IWG has influence and connection with various high level bodies including the UN Office on Sport for Development and Peace, SportAccord, UNCSW, International Sport Federations and Networks. One of the core mandates of the IWG is to advance the implementation of the Brighton Declaration of 1994, to support development of a global women and sport movement and regional mobilisation of women and sport structures. A second mandate is to convene the World Conference on Women and Sport every four years, the 6th edition is taking place in Helsinki, Finland on June 12th – 15th. In the last quadrennial, the IWG Chair and Secretariat was held by Finland, following a successful bid, Botswana National Sports Council will be Chairing the IWG and hosting the Secretariate from 2015 – 2018 when the next World Conference will be held in Gaberone. 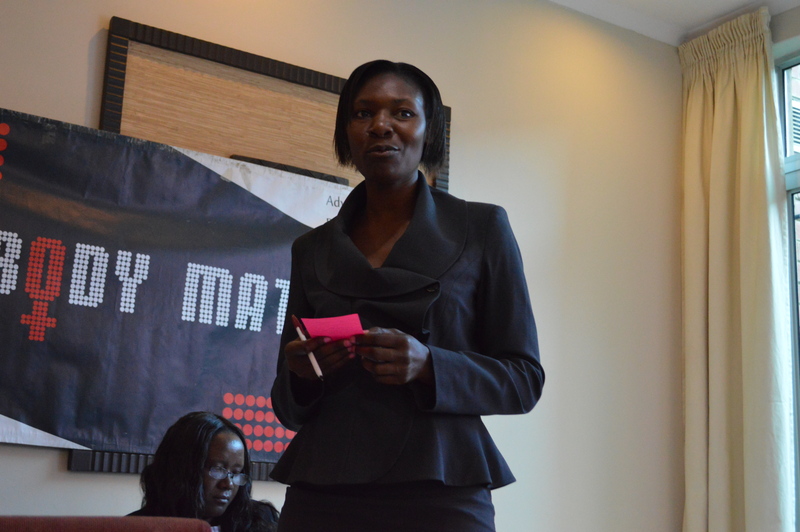 Ms. Mwaba served the last four years as a Co-Opted expert advising on women in sport in Africa. 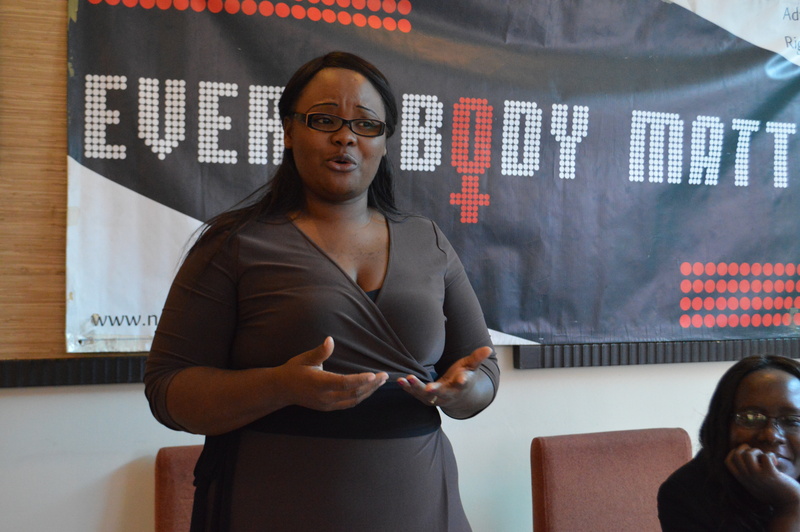 In the new term she is Africa representative while another African expert will be Co-opted when the Steering Committee convenes in Helsinki this June. protocols and CEDAW among other international obligations. Getting effective functioning and impact of Ms. Mwaba’s voice at this high level platform will require the material, political and strategic support of the Zambian government through the Ministry of Sport and the National Sports Council, the regional structures of sport within the AU and sport civil society in Zambia and Africa. NOWSPAR is grateful for the support from various partners the Ministry of Sport for strategic support and the Norwegian Olympic Committee for its support towards meeting costs of Ms. Mwaba’s participation on the IWG the last four years. This morning the Women in Sport Leadership Network celebrated Ms. Mwaba’s new position and are proud that Zambia is representing Africa at this strategic level. 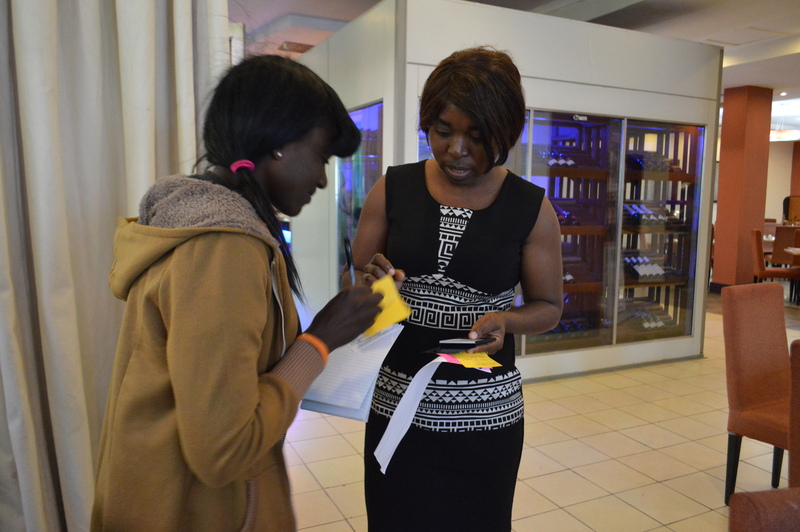 We wish Ms. Mwaba good health and best wishes as she takes Africa’s women in sport forward. Gabriella talking about her role in administering sport at her institutions and the commitment to promote diversity of sport for women. Lombe, Pauline and Diane discussing ideas supporting Women’s Participation in collegiate sport through the Federation of University Sport. Diana Hansi NOWSPAR Youth Leader sharing contacts and ideas for leadership development with Christine. 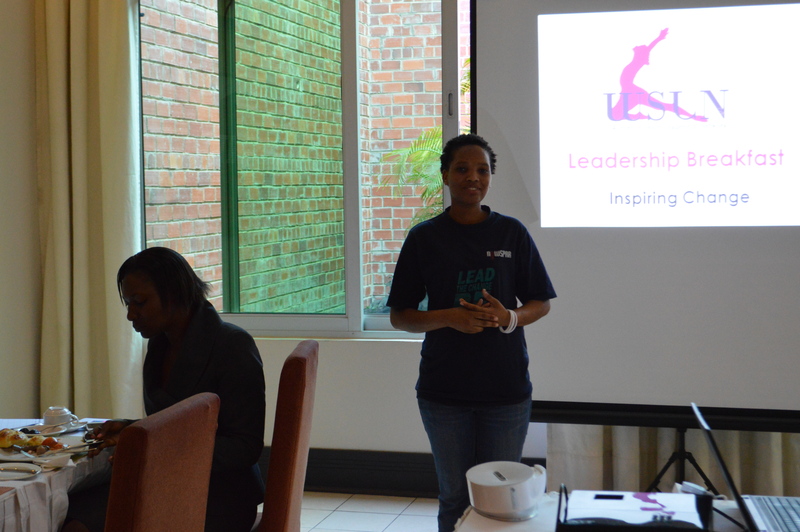 Maketo N’gombe Network Coordinator speaking about her leadership development and her role at NOWSPAR. 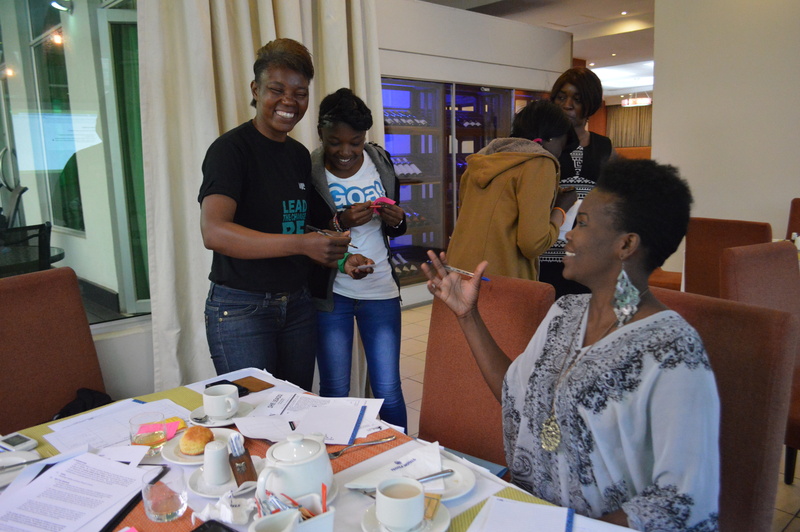 Shero Jenifer of OYDC, Hanifa, Goal Champion and Sharon Goal Sister leader interacting. 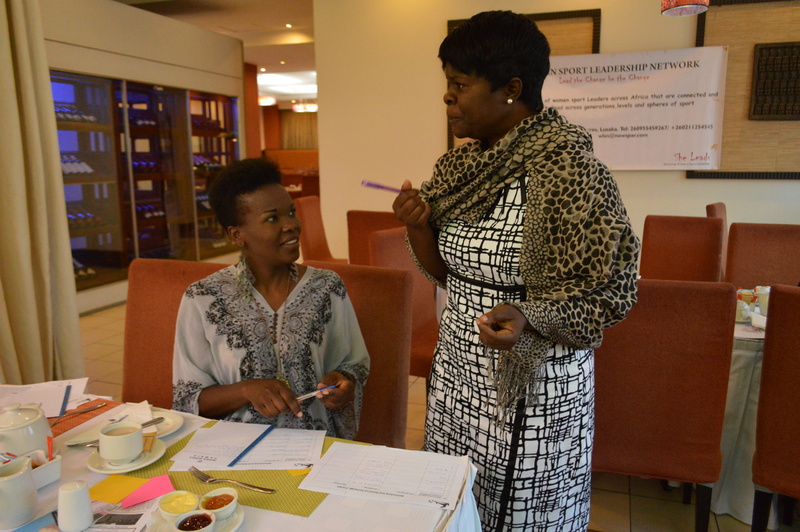 Besa and Matilda during the Breakfast, sharing ideas on supporting leadership development among young women in football. Sharon and Deasis discussing developing sport for women and church groups. [14.05.14 Mofu Kandondo] The Goal Coaches training was being done yesterday and today and it went well. We have 16 coaches participating who support the running of sessions in schools where NOWSPAR delivers Goal. Sessions on day one included participants’ introductions and expectations. The group then moved to cover qualities they have and would like to have to be good coaches. The sessions covered the coaching process and how to make sport sessions more effective. Isaac Mwaniki and Anita Thorsen YSEP Volunteers running a session on sport coaching. The training focused on coaching two sports in particular as a reference, football and netball. The sessions looked at how to conduct a football and netball sessions, the rules, having the right equipment and included football and netball practical sessions. The day was filled with lots of discussion with the facilitators and also the coaches themselves, it was very participatory. Another key component of the discussions was on safety and protection; discussion looked at physical and emotional safety. Sessions also covered choosing the right activity to suit participants capacity as an issue of safety and effective coaching, also in order to include participants with disabilities. We also looked at some of the challenges they may face as coaches in conducting their sports sessions and how they can deal with those issues such as working with insufficient equipment, limited time and space, girls with limited confidence and skills as well as managing time.